Full results and race report as well as a link to some great photos are all available on the Welsh Fell Runners website www.wfra.org.uk .Three green vests were out for this one, Jayne, Phil and Adair. The advertised distance is just over 6 miles with 1300ft climb but due to recent weather and the race organisers unable to utilise the show field this distance was increased to just over 7 miles as the start and finish were at the village hall instead. 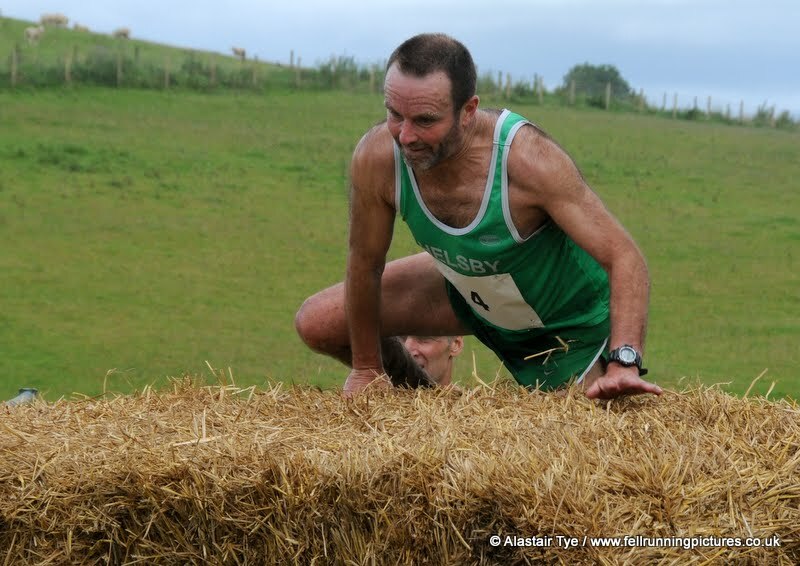 The first false start I’ve been involved in made for some light hearted banter and smiles were still evident as runners attempted to leap the hay bale which has become a common (or defining) feature of this race at just over the mile point. In some ways it is a tough trail race rather than a more traditional fell race but there are certainly some sustained climbs in it even if they are not as severe as experienced recently. It is a low key race and with a great atmosphere so certainly one I would recommend for Helsby runners. Jayne stayed close to Welsh International and record holder for the 6 mile course Andrea Rowland’s to secure a fabulous 2nd place and be in with a shout for the raffled prizes. Jayne’s raffle ticket was number 13, unlucky for some, as her prize was a tin of corned beef! Maybe next year for the gnome or the lollipop? Alistair Tye’s photos of the event here below. Helsby positions and times below and thanks also to Helen for her support on the day. Sunday 26th was our 7th road counter and 3rd ten mile event. I’ve had some race reports for this event from Helsby runners so please find Geoff’s and Ed’s reports below. Ed states “The Great Warford 10 was both a club counter and in the Cheshire Grand Prix for 2012. Helsby’s turnout was six men and no ladies, so some big points going begging! It was my first run over the course, and I’d been warned that there were some little hills involved, but after Moel Famau on Wednesday night they weren’t anything to be worried about. The course was over three laps of 2, 4 and 4 miles, which proved to be an interesting variation on normal runs. I liked being able to mentally break the race down into chunks and knowing what to expect on the other laps, but the first 4 mile lap after the 2 mile one did seem to go on for a while. The setting was beautiful, nice country lanes and the start/finish at the David Lewis centre was really nice for warm-up and warm-down. Plenty of parking, flapjack and a bottle of beer afterwards made it a very nice morning out, and thankfully the rain held off until the journey home. 345 runners completed the course (a record I think I heard). Many thanks for the race reports. 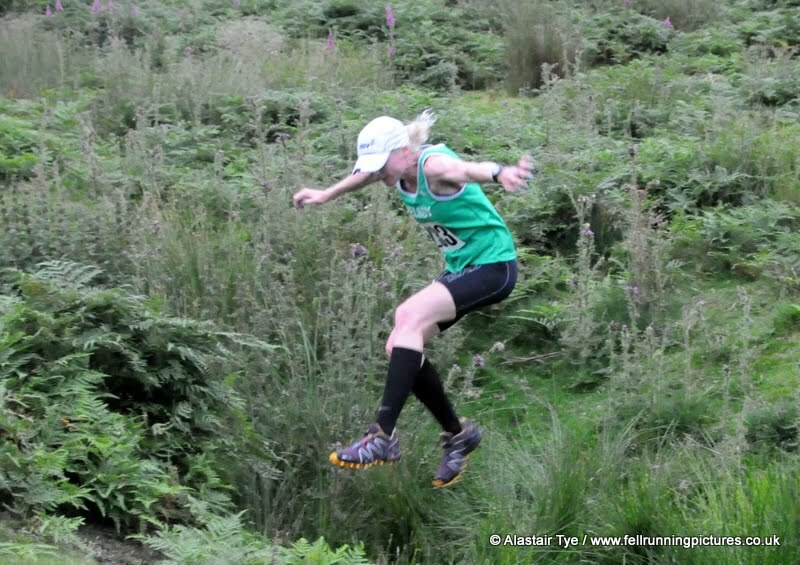 Results for the Green Green Grass of Home are now available on the Welsh Fell Runners website. This race was our 7th club counter and it is great to see so many Helsby runners turning out for the fells this year, which has definitely built on the enthusiasm shown from last year. Certainly the race on this particular night could have been called the Green Green of Helsby with 17 vests on display from the 90 taking part and 87 finishers. I have to agree with Andy Robinson that the GGGH is the best of the three races in the Clwydian series (the others being Hotfoot and the Druid) as the route is varied but tough and always somehow slightly different each year, whether purposefully or not! Runners meander from the registration at the Golden Lion nr Llangynhafal to the start of the race (also the start of the Llangynhafal Loop race earlier in the year) and wait patiently and possibly nervously till Martin stands tall and describes the route, setting us up for the first short steep climb up the green grass which quickly hits a fairly wide stony track, seemingly innocuous but with enough incline and distance to separate the field early on, which then presses us on to a crossroads at the Offas Dyke path. About three-quarters of the way up that first path we see head past Alistair Tye taking photographs (bonus points available if anyone could smile at this point) we then encounter Joe marshalling and supporting, where runners then contour round the side of Moel Famau before heading to the atmospheric summit, clouded in mist where Huw, the apparition in yellow, sent us back down the Offa’s Dyke path to again be deviated away from runnable trail to bracken, heather and fern, ‘where even the sheep don’t tread’ as Steve Riley has written previously. A final and stiff climb soon beckons where Helsby’s Chris Hatton positioned himself for photographs. Look forward to seeing those! Fun but energy sapping downhill, seeing Joe and his yellow marshals flag in the distance, trying not to face plant again as your foot mysteriously disappears into a boggy trap, runners then hit the same stony trail from the start of the race, turning left into the ferns before the splendid short and sharp descent and cheers from the more sensible watchers and a group of children doing Mexican waves means you have finished a race and an accomplishment. But really that’s just the start of the night as prize giving is an entertainment show all in itself. Some great runs and battles on the night with standout performance once again going to Jayne who was first lady by a good margin and also beating talented local runner and last year’s winner Lisa Grantham. Helsby have now also been contacted by Easyjet as they want some consultation by Jayne to teach their pilots how to do a perfect take-off and landing. Photo evidence below. Brilliant. Helsby ladies stole the spotlight with Jackie showing her class in winning her age category convincingly, holding off other runners at the finish. Jim O’Hara is on good form and great to see Adrian pick up a prize of a horn too. (Martin said it was because he’d heard about Adrian’s sprint performances at track and thought Adrian could use it as a warning to other runners as he tears round the track on his 200m relays). Best prize of the night surely the scouse earring collected by Jayne, it almost looks like a hula-hoop. Many thanks to all who turned up for such a great night and hopefully this green ocean can continue onto Whittle Pike, the next club counter and also Race 2 in our Inter-Club Fell running series. Whittle Pike is the Spectrum nominated race on Wednesday 8th August. Details courtesy of Spectrum are below. It should be about an hour’s drive from Helsby and I will send some more details and a reminder out a few days before the race. Although an 8 mile race with 2000’ climb thrown in this was not a race that allows you to gain any momentum due to the boggy nature of the course. Apart from a little track leading from the church at the start of the race it is all on undulating or hilly tussocky land full of hidden bog traps. For most of this race you are one footstep away from a face plant! Great run in though once the last wall has been climbed and a race I’d love to see in the club counters due to its uniqueness all round. (Terrain, Location, Prize giving) It also included team prizes so possibly one for Helsby ladies to do in the future? Race leaders ran brilliantly and took a commanding lead but a second race broke out for positions 4th to 7th which was fun to be part of. It was a flagged course but was still possible to go the wrong way and there was lots of talking in the race to choose the optimum route between that particular group of people. Majority of the 85 runners in the race were from Calder Valley, Todmorden and Horwich which even included some people asking where Helsby was. Hopefully with the likes of Jayne winning these races outside her own territory it could help to put Helsby on the map. Also Great to see Jayne rescuinga vole that was about to be ironed by a tractor after the race and she certainly didn’t ‘Doolittle’ during the race either with possibly her best run to date to secure 1st lady on a very tough course. Interestingly lady in 2nd from Preston Harriers has worn an International vest. A welcome hose down in the church after the run to wipe off the best of the Pennines (was it holy water?) and then the hardest part of the day choosing which cake to eat. Or cakes I should say. Prizes included toilet rolls, baked beans, rice but no alcohol this time so ladies winner went for the multi-coloured water pistol. Maybe it’ll be seen on Helsby hill sometime on a Wednesday run? In Phil’s words “Another race from a village carnival, I really enjoy the atmosphere of being around people enjoying themselves and their sense of community, it was also good to meet up with Martin Contrviend but wasn’t able to learn anything further about the GGoH route for Wednesday because he hasn’t thought of it yet. The race route followed a short steep road out of the village before hitting the climb up to the crag with the terrain being similar to “our hills”, once over the top of the hill, there was a gentle descent through woods and back into meadow land, which followed an undulating route by Leighton Hall and then back up the other side of the crag via the woods. Once we were back over the hill again, the sound of the PA system from the carnival indicated we were on the final run in and thoughts of tea and cakes permeated the need to concentrate on the descent. The route may have to be adjusted slightly but runners will still have to negotiate soggy fields, The Bale!, climbing The Pincyn and challenging, rooty forest tracks. 6 miles of mmmmmmm pleasure! Start will now be at the Canolfan Cae Cymro (village hall) far end of the village: LL152NF. £4 doesn’t get you much these days but I can guarantee a good sweaty hours entertainment and a cuppa!. This coming Sunday 29th July also sees the Great Warford 10 Mile which is our 7th Road Club Counter. As always if I’ve missed anything please let me know so I can update the blog. Still having track sessions with Joe and Mario 6.30pm Monday nights Helsby High School. Good time to make the most of the weather! Results are now in for Race 1 of the Inter-Club three race fell series between Helsby, Tattenhall and Spectrum. Up to 7 men and 3 women will be counting runners for each club. Men score 21 points down to 1 point. Women score 21 points down to 13. 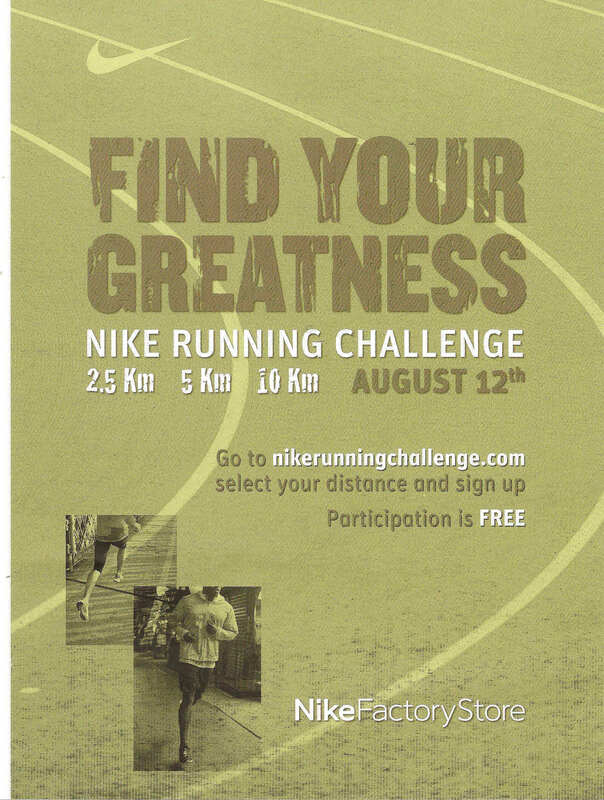 There are also 2 bonus points for each male or female runner above the scoring team of 7 men and 3 women. 2nd claim members do count in this league. *For those that like numbers and study results The vet categories are intended to give 5 points to the club which is first home then 3 points to next of the other two clubs…and 1 point to the third club if they had a runner in the category, the aim is to rank the clubs in each age category. But it’s still very close, which I hope adds to the excitement, as there are only 20 points in it which in some ways can come down to one runner (Jayne was our biggest scorer with 21 points for example). By looking at the results, and please don’t take this too seriously, maybe there is someone from a rival club you can beat next time to gain an extra few points…We were also helped on the night by having the most runners and everyone on our team above the scoring team of 7 men and 3 women scored us 2 points each. If you have any thoughts on the competition please let me know as we’ll do a review at the end of the season. (Each club has these races in their club fell race championship). Whittle Pike will be an hour’s drive so I’ll send some information out nearer the time as it is also our club counter. There may well be lower numbers due to the Olympics and holidays but if you can run it will be great for the club to have another sea of green out there. Full results are attached as a pdf file. Might keep kids occupied for a few hours over the holidays! After last weekend’s green sea of vests (Steve’s apt description) at the Druid, maybe it was a weekend of relaxation for majority of Helsby runners with a quiet calendar of road and fell, or a weekend of secret training! As far as I can tell, only one race…. Helsby’s Phil Gillard, always looking for the next challenge was in North Wales at the Tal-y-Fan race on Saturday at Rowen, nr Conwy. This is advertised as 12.8km distance with over 2500ft of climb. 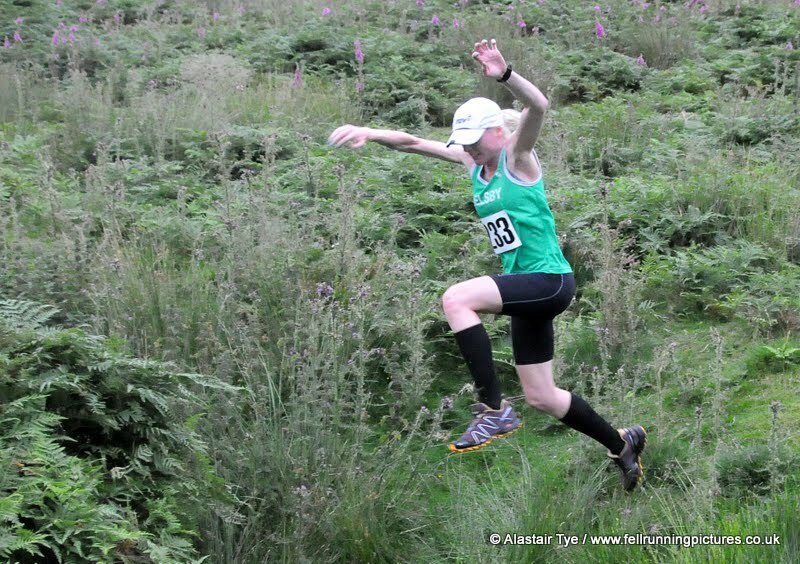 Some great pictures already available here http://www.fellrunningpictures.co.uk/talyfan2012.html but no results as yet. From the photos looks like Phil had a strong run. Technical course with distance surely suits him. Each club has these races in their club fell race championship. These are the rules for 2012. There will be a review after the first season to see how they are working and see if any tweaks to the scoring are necessary. There are extra bonus points in every vet category – 5, 3, & 1. Vet categories are those used by the race organiser. As at least 22 of you know, Wednesday was our inter-club as well as 6th fell club counter race, starting and finishing at the Druid Pub at the base of Foel Fenlli. A delicate warmth welcomed the rainbow of vests congregating at the pub car park and the blue skies gradually gave way through the evening to cloud. It was cold by the time of prizes and many Helsby runners enjoying their pint were wearing their Helsby hoodies and pondering on a missing summer. However, there was still lots of banter and smiles and talk of close races, especially between Helsby runners! Thanks to everyone for taking part in what is the biggest Helsby field in a fell race I’ve known and hopefully will help us in our bid for points against the Tattenhall and Spectrum runners. Tattenhall had 17 out and Spectrum 15. Jayne Joy was our only prize winner, with an impressive turn of speed at the end in a tight finish with Clywdian runner Mary Gillie, not a bad scalp to have. Guess that’s the Monday night track sessions paying off. There were some unique prizes available as usual with this series of race, ranging from water pistols to umbrellas but probably best to stick to the wine Jayne! Foel Fenlli is the 2nd highest peak in the Clwydians coming in at 1677ft, race is advertised at 5 miles with 1200ft of climb. Muddier than some years and dark in the forest of doom but it all adds to the atmosphere. Biggest field ever for the race as a whole with 135 finishers tightly packed into a small country lane doesn’t make for the easiest of starts but the stiff climb before the farmers fields helps to spread out the field early on. From then on you dodge cow pats and cattle-grids, catch your breath to say hi to Joe who is already cheering the next runner behind, mince over some styles and dig in for the climb up Fenlli. Great views if you could spare a moment to look round and was fantastic to see a multi-coloured trail of runners heading up the offas dyke path. Once you hit a ridge you then head to the new stone steps and contour around the top of Fenlli. Route changed slightly this year with an additional climb up Fenlli instead of back onto the ridge, before the fast downhill back to the styles and farmers fields and a chance to hold on or even gain a few positions now the back of the race has been broken. Thanks to Joe out on the course and to Chris Hatton taking photos on the night. Positions and places below. Please note the next fell counter is the Green Green Grass of Home, a little bit tougher than the Druid but a good race and anyone from Helsby will be more than capable to run it. I’ll send more details out nearer the time. The next inter-club race and also club counter is the Whittle Pike on 8th August.